To create awareness and opportunities in Research and Development among the students & faculty and to create Research and Development atmosphere. To create interest and atmosphere among the staff members to take up Research projects and improve their knowledge, skills and qualifications by registering Ph.D’s. To motivate the faculty members of the group for R&D activities in the area of their specialization. To encourage staff members and students to publish technical papers for publishing in National and reputed International Conferences/Journals. To maintain and disseminate current information about relevant research policy areas and initiatives in government, in the professions and in relevant industries, including external funding opportunities. To develop strategies to foster research collaborations within the faculty, across faculty and institutes, and with agencies outside the college. To work with various departments to establish and develop faculty research priorities on interdisciplinary areas. To interact with industry, government, professions and the wider community on all research matters promote faculty research activities to external stakeholders. To coordinate faculty level workshops and staff development activites on research-related issues. To encourage development of activities to attract the best research higher degree students. 1. Students are encouraged to participate in workshops, seminars, paper presentation and project competitions. 2. They are motivated to undertake both in house and industry based projects. 3. 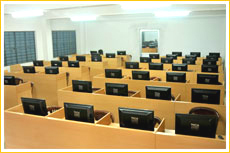 Guest lectures, workshops and industrial visits are regularly arranged to focus on thrust areas. 1. Financial assistance in terms of registration fees, TA/DA, etc for participation in National & International conferences (India and Abroad), Workshops, Seminars, FDP, etc. 2. 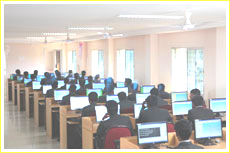 Faculty members are sponsored for pursuing higher studies. 3. Faculty members are encouraged for interacting with the outside world such as chairing technical session/invitation as keynote speaker in National/International Conferences, Seminar, Workshop and Guest lecture.